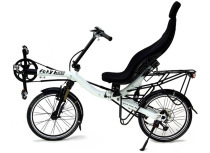 Our unique recumbent CLassic started its career as the first full suspension alloy-frame compact recumbent at the bike shows of 1997. Since that time customers made millions of miles with our Toxy-CL  all over the world and on worst gravel tracks.Together with our customers, we will celebrate this 10th anniversary right at the start of bike-season 07. From Jan. 10th to Mar. 31st 2007 each ordered Toxy-CL comes with a Toxy shopping voucher enclosed, worth 10% the value of your ordered Toxy model. 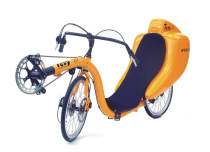 Get this opportunity now and order your personally equipped Toxy recumbent. Configurate your Toxy model in our Toxy webshop, due to your individual needs & preferences. Further information, you will find at this website. 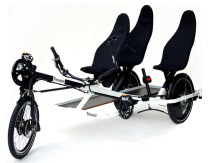 Ordering until March 31st, you will receive your 10% worth shopping voucher*  and you may visit our Northern German recumbent festival ,May 11th to 13th, with your own personal Toxy!